Teju Cole is a writer and photographer currently based in Brooklyn. He has worked as a cartoonist, dishwasher, lecturer, gardener and haematology researcher. His writing has appeared in various journals in Nigeria and the US. Every Day is for the Thief is his first novel. 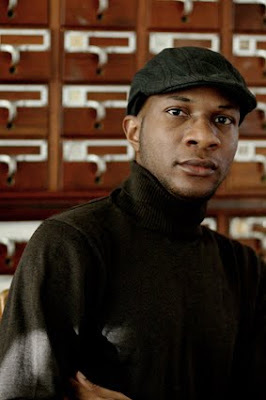 Teju Cole will be reading at Pen and Pages Bookshop, at 6pm on the Monday 14th December. He will also be in discussion with Toni Kan in Lagos (Quintessence) on Saturday, 19th December. He's so handsome! And talented, too! Lol. this guy na jack of all trade???????????? lol. wuse 11 u say??????? will go dia. Looks alot like Denzel Washington!